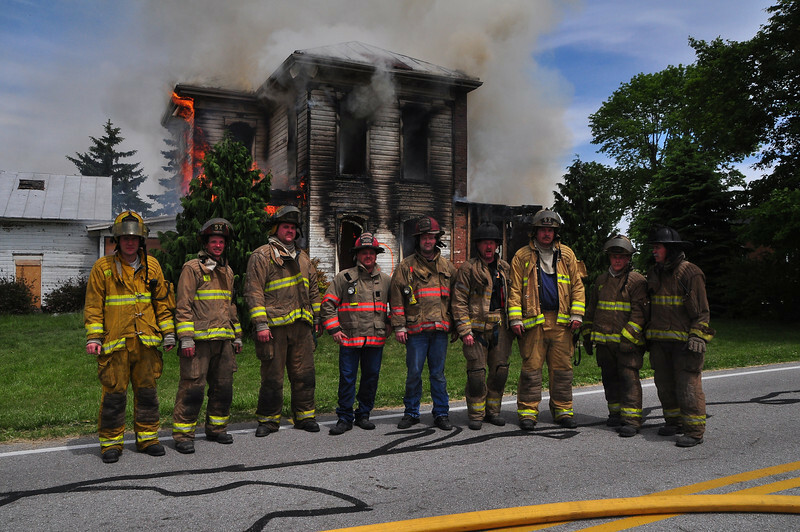 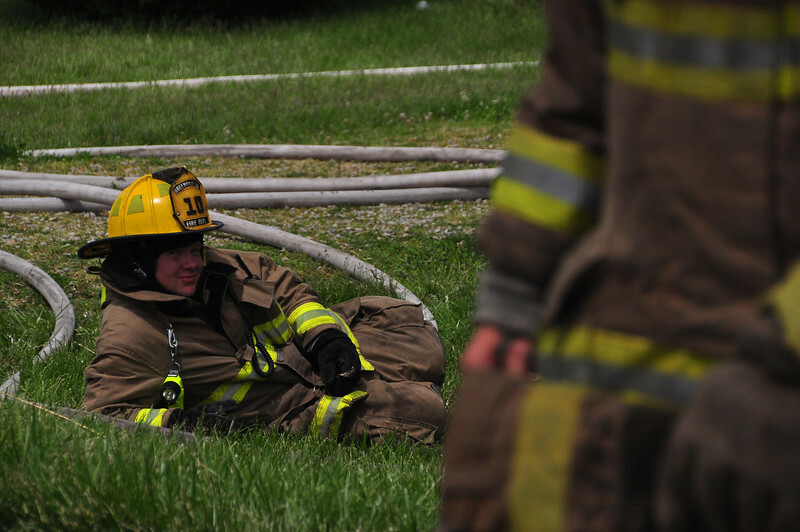 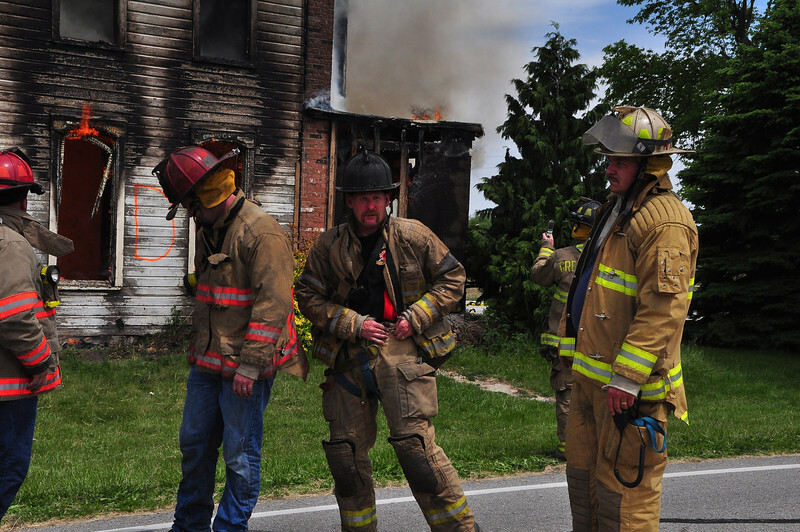 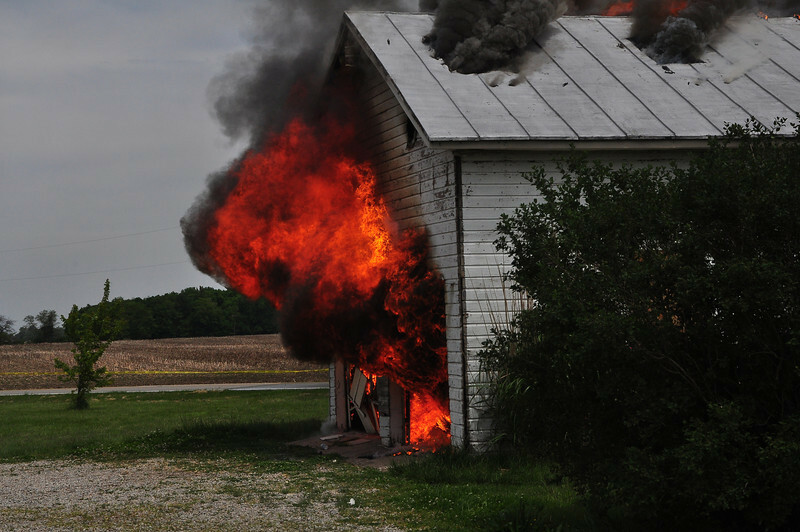 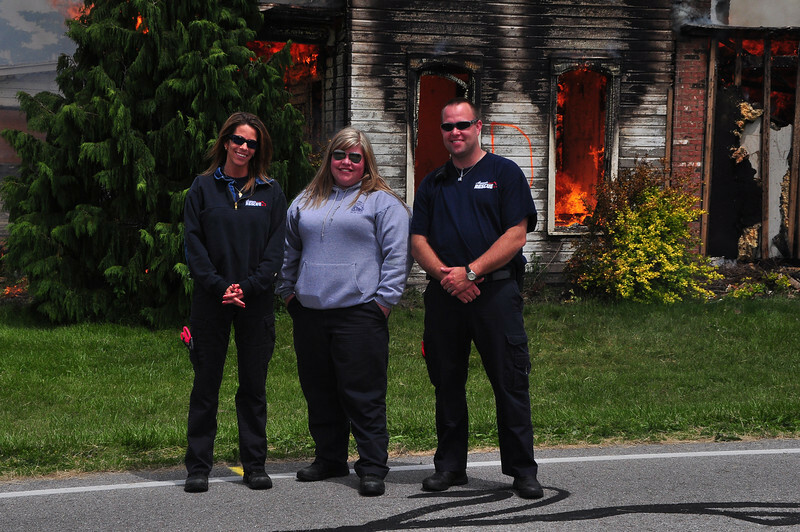 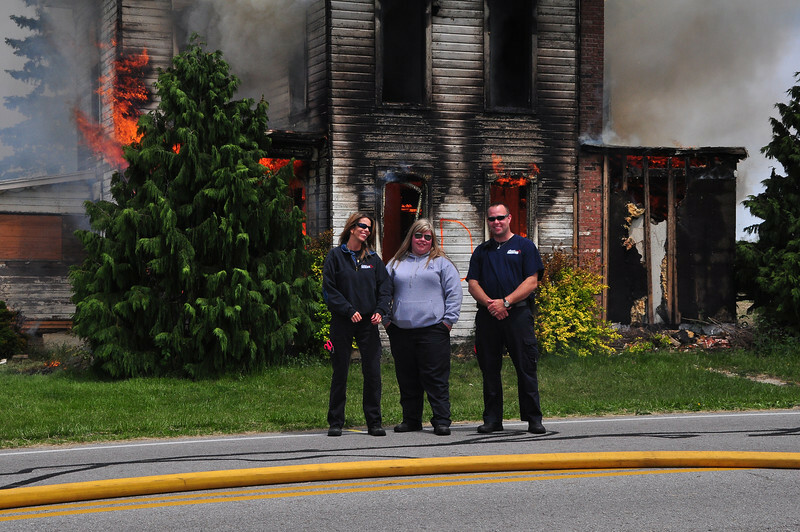 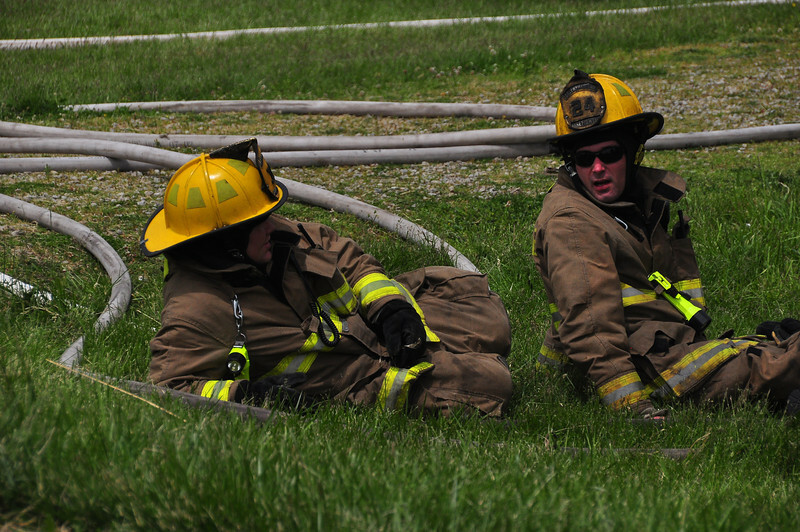 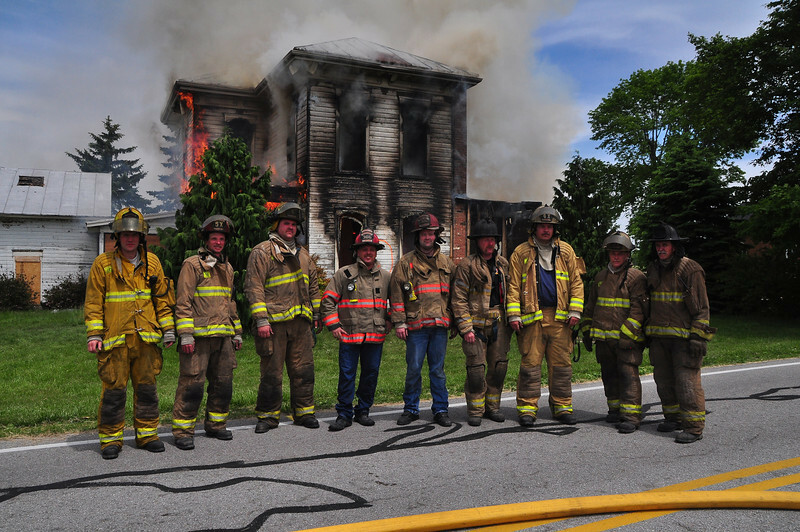 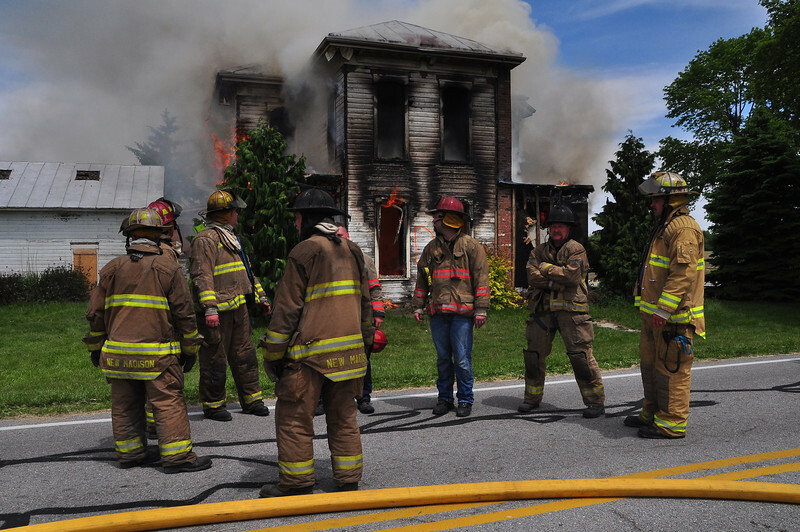 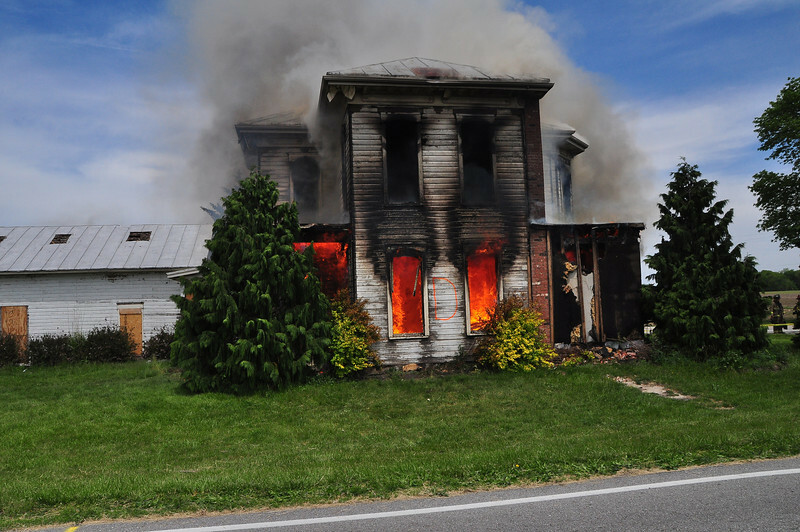 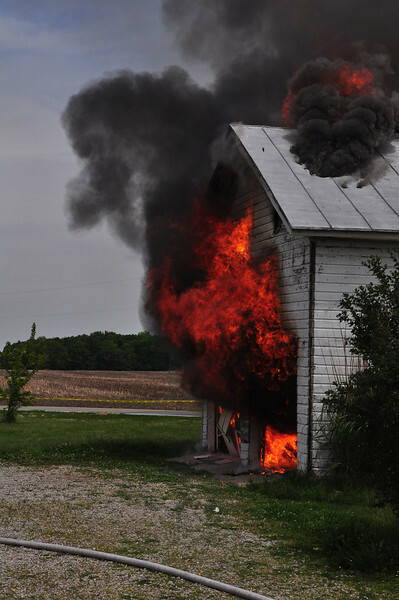 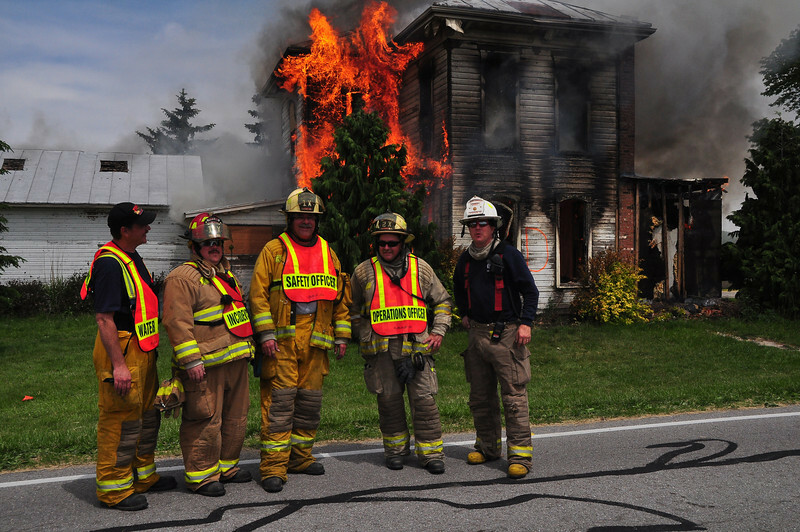 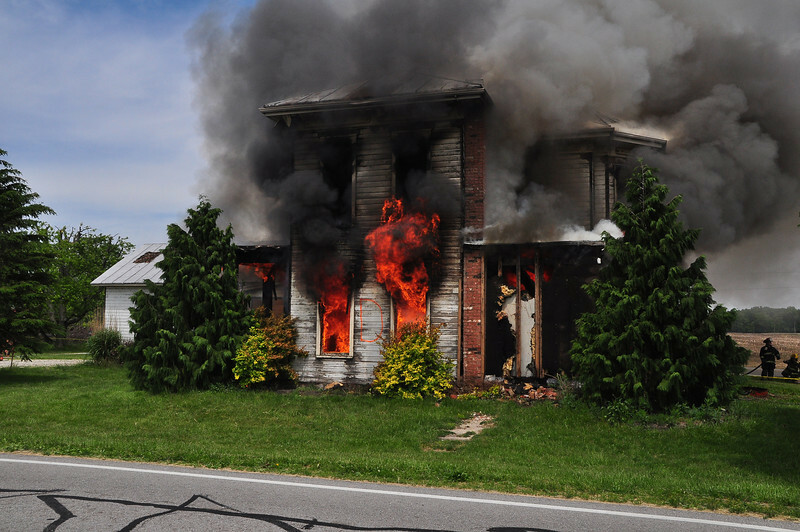 These photos are from a training session hosted by the New Madison (OH) Fire Department on May 12, 2012. 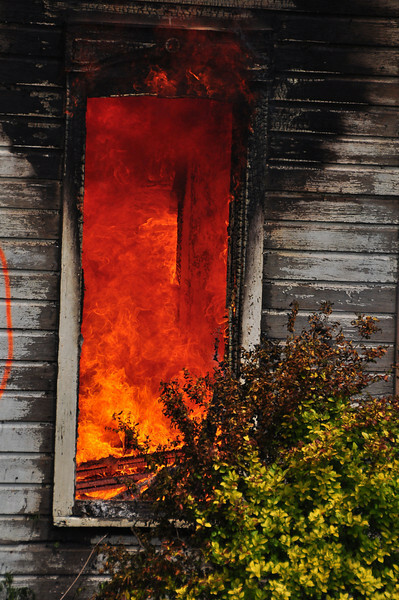 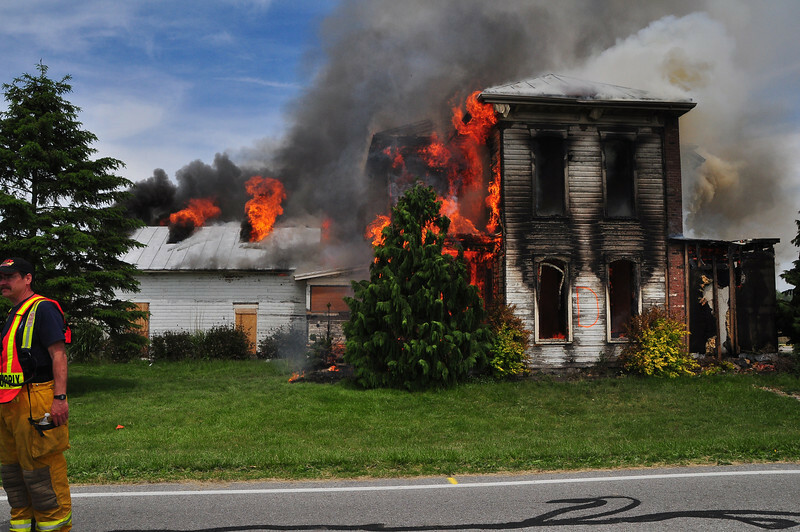 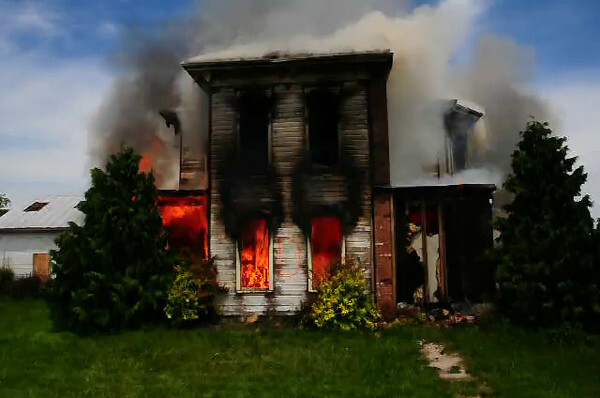 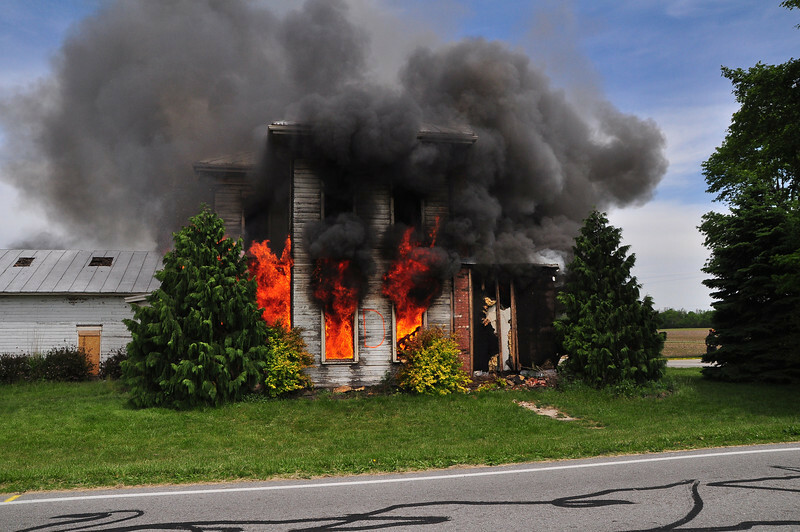 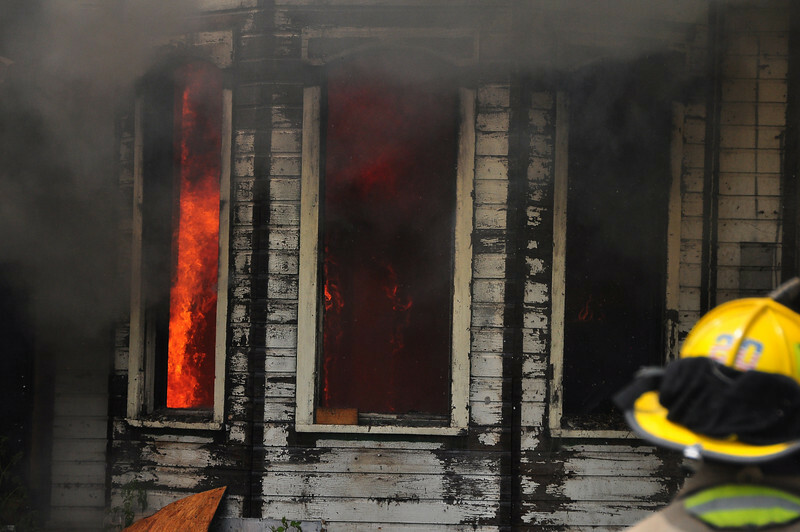 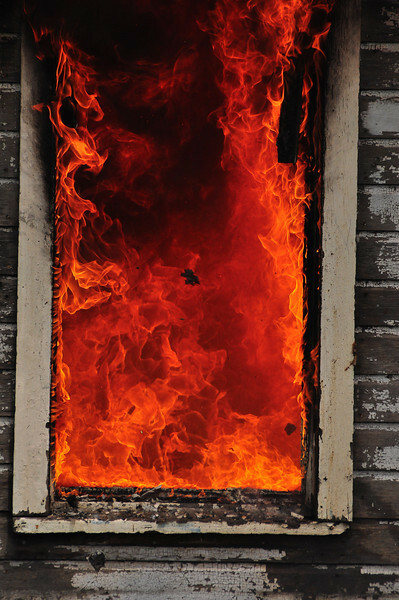 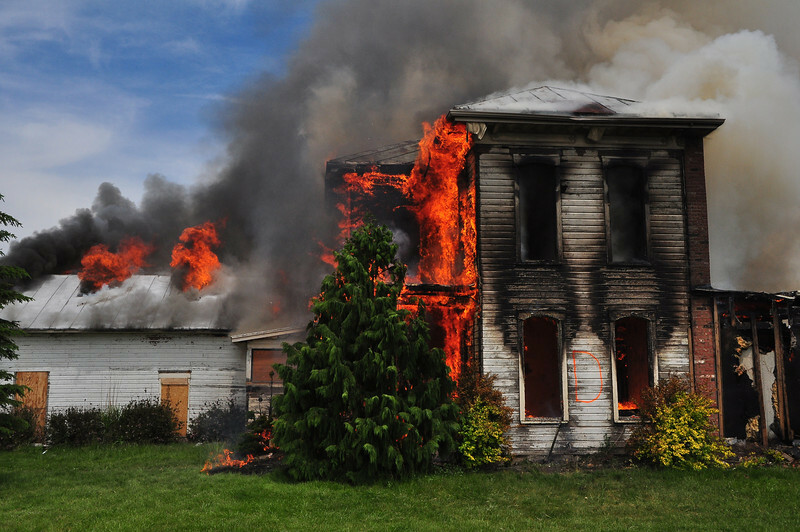 An old two-story house which was to be demolished, was repeatedly set afire. 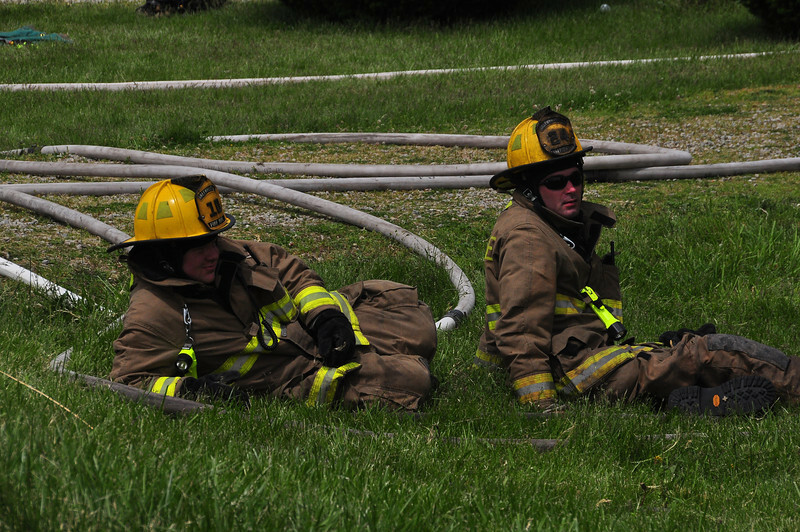 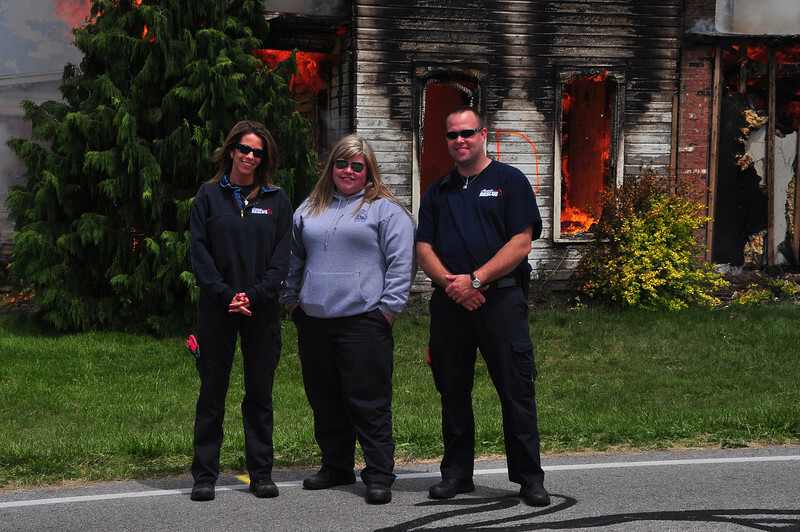 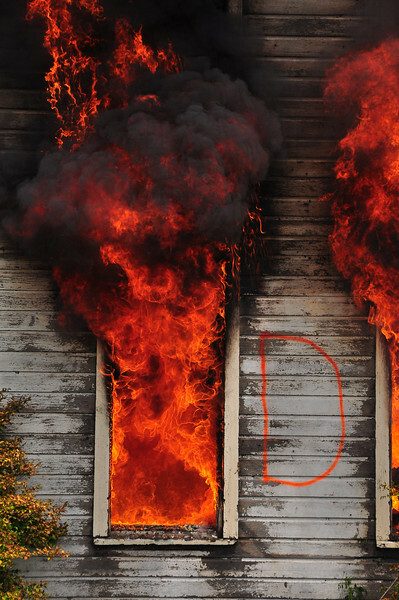 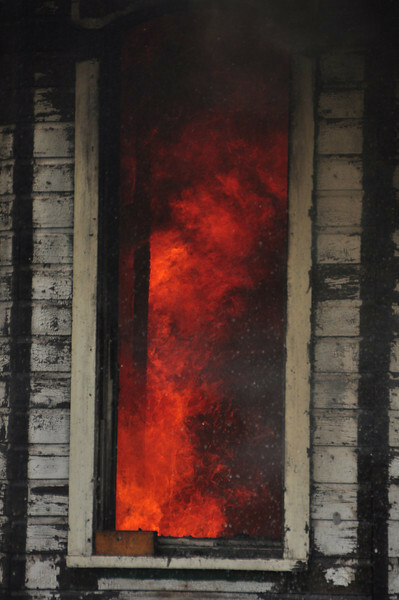 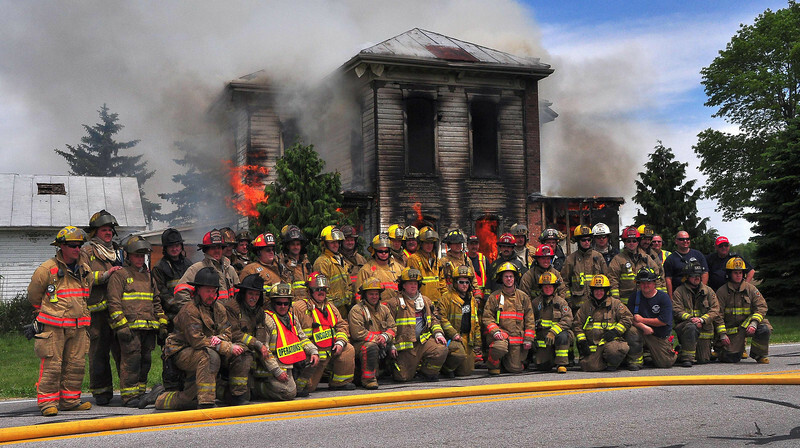 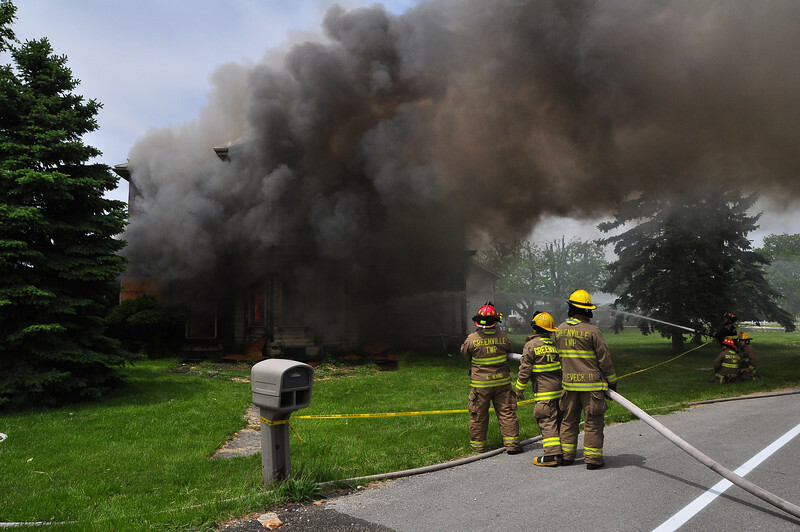 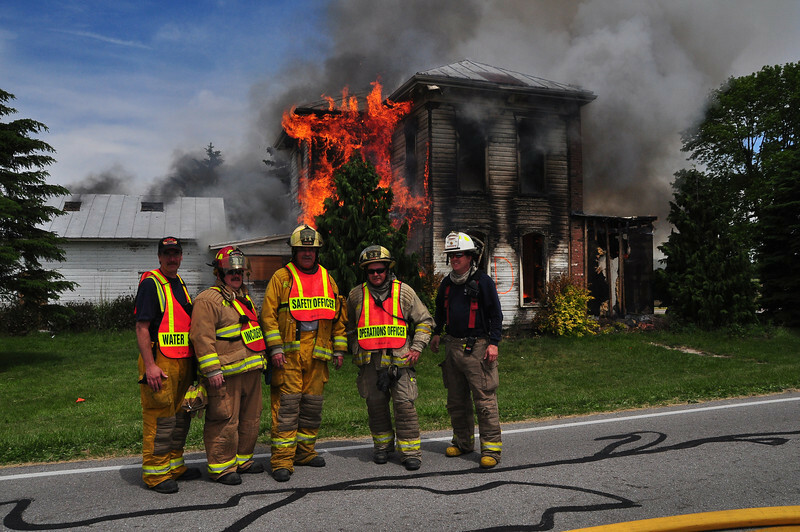 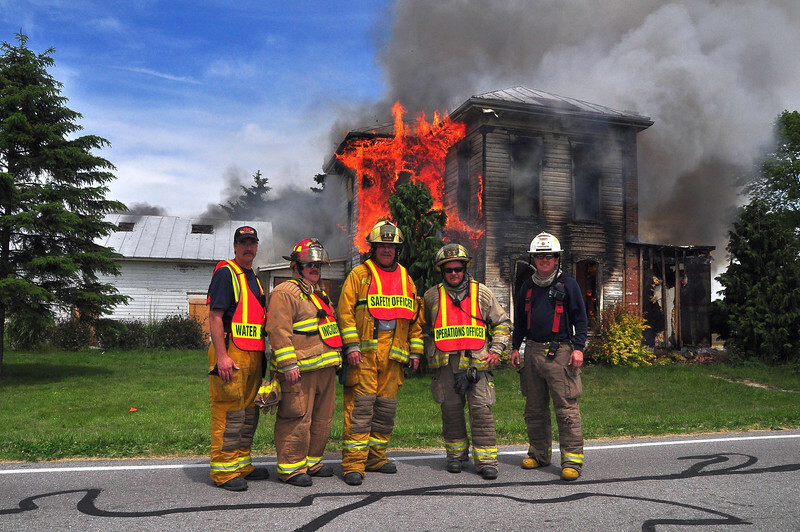 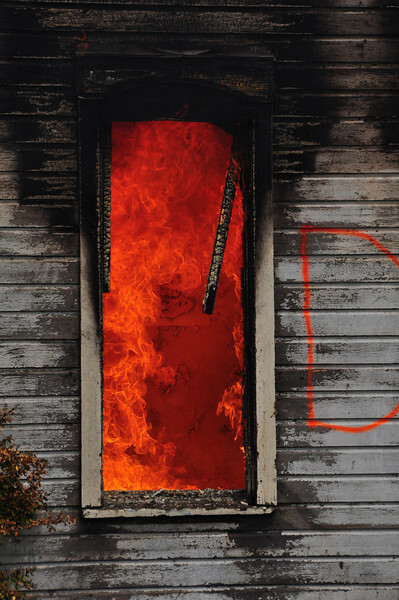 This afforded firefighters the opportunity to train under live-burn conditions. 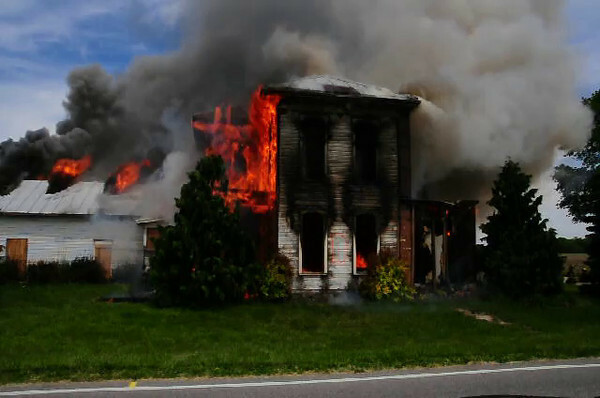 At the end of the day, the house was burned completely down. 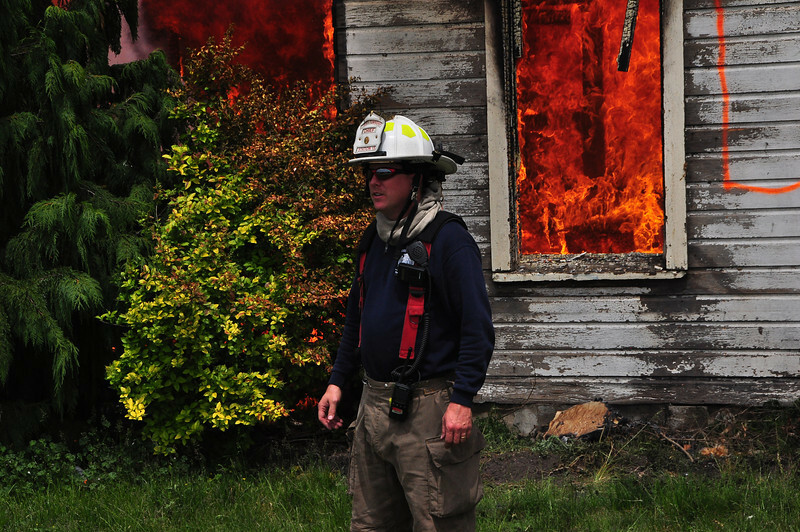 2- When you mouse over the photo in the view pane, you'll see the option "View Size". 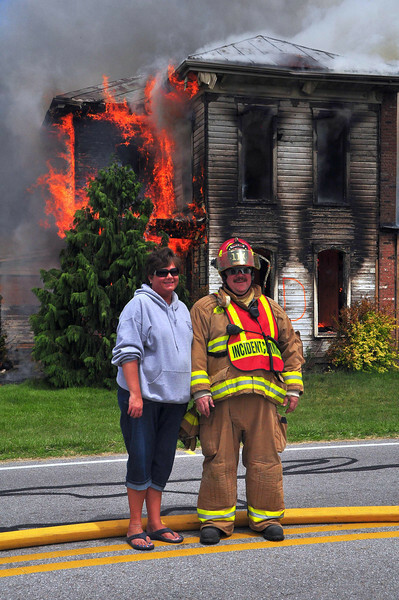 Choose "Original"
3- When the original-size photo loads, you'll see only a small portion of it. 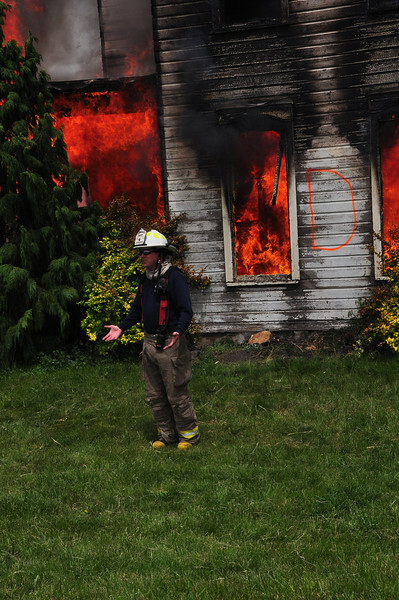 That's OK, right click on the photo and choose "Save As". 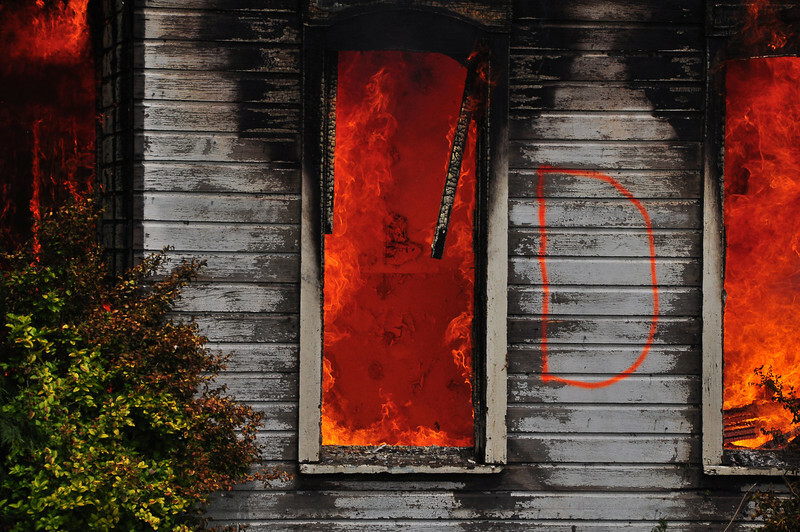 You can then choose where to save it on your computer. 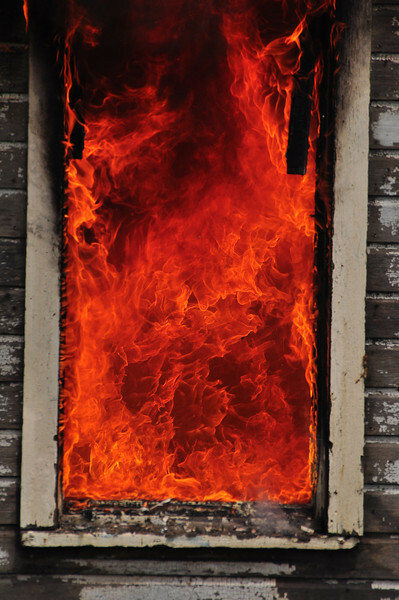 4- When you are done, click "Close" in the upper right corner of the view pane.